WOW! What an inspirational and vibrant event we held at BAGS on Tuesday evening. I am very proud to have been part of the Seventh private view held at our Bistro Gallery Space. It was fantastic to see the diverse responses made by pupils to the theme ‘Human condition’. 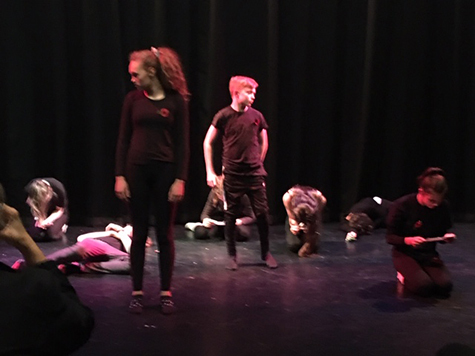 The WW1 Armistice drama performance by the talented group of Y9 pupils ‘Centre Stage’ was mesmerizing. The musical performances by our pupils captivated everyone in the exhibition. The Year 10 band Kalopsia, comprising of Kate Harper, Summer Thomas, Amber Harris and Roman Durant delivered a great opening set. The audience were then wowed by the talents of Year 9 Solo guitarist Bea Barratt. It was a great opportunity to celebrate the amazing talents of our creative pupils and I would like to extend a big thank you to everyone who supported the event. 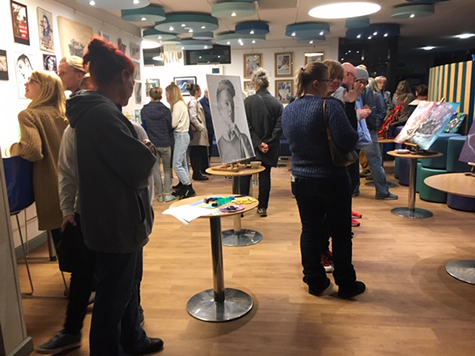 Thank you also to our local artists, whose work has already proved to be an inspiration and informed the work of our y12 pupils in the Art department. 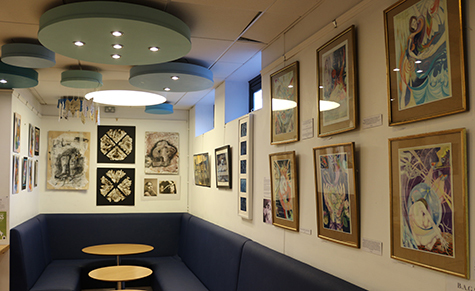 The Bistro Art Gallery Space is now open for business and is accessible via Stratton Rd reception. Please phone the School if you would like to arrange a viewing. Opening times are from 9am -3:20pm & we welcome everyone to come & view the show ‘Human condition’, which will run until the Spring term. The price list will be available at Stratton Rd reception.